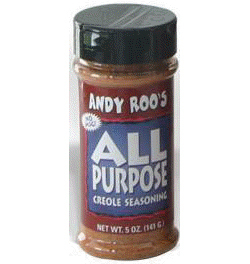 Andy Roo’s All Purpose Creole Seasoning: Sprinkle it on Everything! 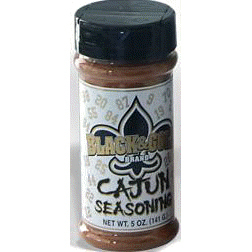 Great for seafood, meat and vegetables! Recipe idea: Take one whole boneless chicken breast. 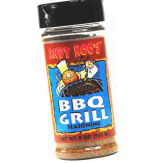 Pre-season with Andy Roo’s All Purpose by rubbing thoroughly into the chicken. Let sit for approximately 15 minutes. Grill the chicken on a gas grill or charcoal pit until done. Cut into finger-sized strips. 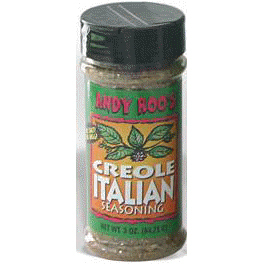 Place over a tossed green salad topped with your favorite salad dressing and shredded romano or parmigiano cheese. 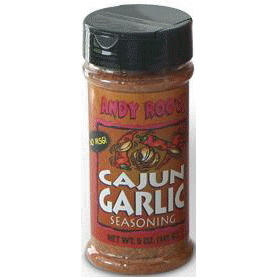 Ingredients: Garlic salt, onion, paprika, cayenne, white and black pepper, an other herbs and spices. NO MSG.